Ouagadougou, 24th July 2018. Stakeholders from Member States of the Economic Community of West African States (ECOWAS) have met in Ouagadougou on the 23rd of July 2018 to deliberate on effective participation in public policy issues, from the perspective of Internet Governance. 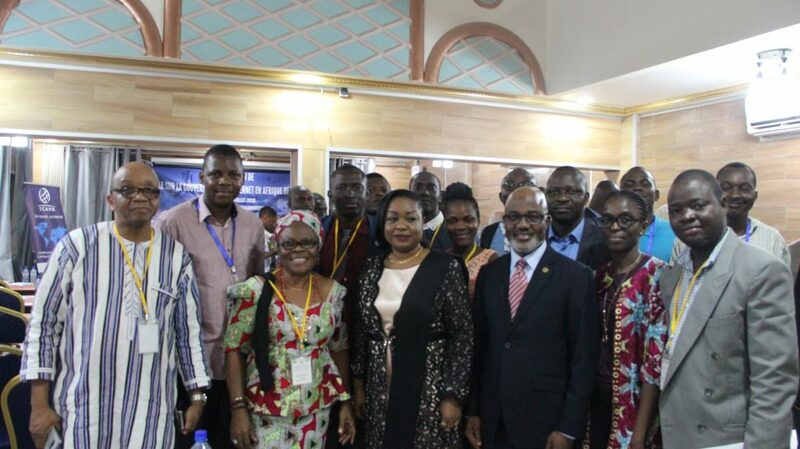 The three-day West African School of Internet Governance (WASIG) meeting was also meant to groom the next generation of internet governance experts for West African region. It was stressed during the meeting that making procedures, and programmes that shape the evolution and use of the Internet as well as education and engagement are needed for informed regional and global expertise as West African States (governments, the private sector, and civil society) strive to enhance their development and application in their respective roles, of shared principles, norms, rules, decision. The diversity of participants emphasised the schools’ objective for the need to enhance multi-stakeholder cooperation in national, regional and global internet policy and development. In her remarks, the Minister of Digital Economy Development and Posts, of Burkina Faso, Mrs. Hadja Ouattara Sanon acknowledged that although the first edition of the WASIG was hosted in Burkina Faso but will be beneficial for all. She encouraged participants to tap into the wealth of knowledge available and to ensure their voices are heard in the shaping of public policy issues associated with the internet. The WASIG meeting which held between the 23rd and 25th of July 2018, was preceded by the West African Internet Governance Forum (WAIGF). It was organised in collaboration with the Government of Burkina Faso, Afrinic, Facebook, Google, ICANN and the World Wide Web Foundation. WASIG is primed to build a multidisciplinary cadre of expertise in Internet Governance in the region through the participation of current and emerging leaders drawn from government, youth, women, academia, technical community, civil society and the private sector.